Sterling Beaumon Photos, News, and Videos | Just Jared Jr.
Kelli Berglund slays in a one-shoulder black dress at The Hollywood Reporter’s Next Gen 2018 Celebration held at 40 LOVE on Wednesday night (November 7) in Los Angeles. 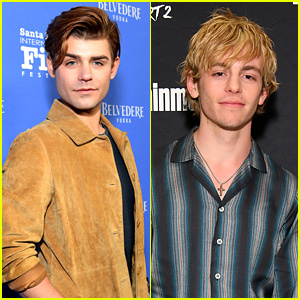 The 22-year-old Now Apocalypse actress brought boyfriend Tyler Wilson to the event where they met up with Sterling Beaumon to celebrate Noah Centineo‘s cover. After star Josephine Langford, 13 Reasons Why‘s Anne Winters and musician boyfriend Taylor Beau, plus Baby Ariel and Aidan Alexander were also seen inside the party. FYI: Anne is carrying a Ximena Kavalekas clutch. Ariel Winter & Levi Meaden Wear Matching Pajamas on Christmas! 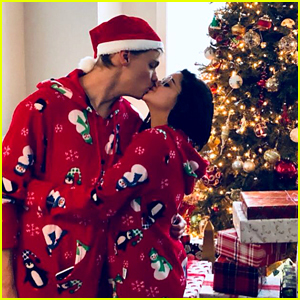 Ariel Winter and Levi Meaden make such a cute couple while wearing matching pajamas and sharing a kiss in front of the tree on Christmas Day! 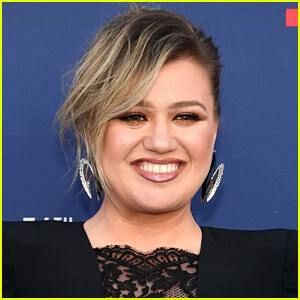 The 19-year-old actress and the 30-year-old actor wore some fancy outfits the night before for a Christmas Eve bash with friends Sterling Beaumon and Noah Centineo. “From Christmas Eve to Christmas Day!!! Merry Christmas everyone and thanks to all who took part in our first Christmas!” Levi wrote on Instagram. Paris Jackson, Julia Michaels and Sasha Pieterse strike a pose on the carpet while attending People Magazine’s 2017 Ones To Watch Party held at NeueHouse Hollywood on Wednesday (October 4) in Los Angeles. 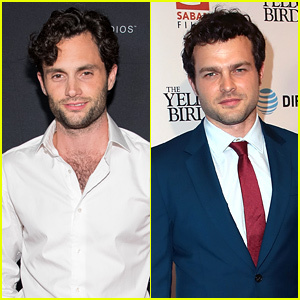 The three ladies were joined at the event by Natalie Morales, The Walking Dead‘s Ross Marquand, It star Wyatt Oleff, Francia Raisa, Moana‘s Auli’i Cravalho, Damon J. Gillespie, Connor Franta, Haters Back Off star Colleen Ballinger, Cassie Scerbo and Karrueche Tran. Also in attendance at the celebration was Dancing with the Stars‘ Valentin Chmerkovskiy, Jordan Fisher, Lindsay Arnold, and Frankie Muniz with girlfriend Paige Price, Ty Dolla Sign, James Maslow, Violett Beane, Emma Kenney, Beau Mirchoff, Marcus Scribner, Lauren Ash, Alisha Marie, Emily Kinney, Scott Michael Foster, Noel Wells, Austin Abrams, Chandler Kinney, Niki Koss and Sterling Beaumon, Jack Quaid, Victoria Arlen, Ivana Baquero, Francia Raisa, Olivia Jade and her mom Lori Loughlin, Serinda Swan and Trevor Jackson. FYI: Paris is wearing Andreas Kronthaler for Vivienne Westwood with Sarah Flint shoes. Ivana is wearing HOUSE OF CB. Alisha is wearing an Allen Schwartz jumpsuit, Aldo sandal and Vince Camilo clutch. Julia is wearing Jen Hansen jewelry. Veronica Dunne completely took our breath away at Variety’s Power Of Young Hollywood event held at TAO on Tuesday night (August 8) in Los Angeles. The K.C. Undercover star rocked a lace trimmed LBD and looked absolutely stunning at the event, which honored one of her best friends, Zendaya. A Wrinkle in Time star Storm Reid, Shadowhunters‘ Katherine McNamara, Landry Bender, and G Hannelius also stepped out for the event. Andi Mack stars Asher Angel and Joshua Rush caught up with pals Isaak Presley and Ricky Garcia inside, as well as Bunk’D stars Skai Jackson, Peyton List, and Karan Brar. Couples Kelli Berglund and Tyler Wilson, Paris Berelc and Jack Griffo, and Niki Koss and Sterling Beaumon were also at the annual event, with Niki‘s co-star Georgie Flores. FYI: Peyton wore a Petersyn shirt, a Milly skirt, Sophia Webster shoes, an Edie Parker clutch, and Lana jewelry. Katherine wore a Gosia Baczynska ensemble. Joshua wore H&M. Kelli a Hailey Paige shirt dress with Nissa jewelry and Bruno Magli heels. Storm wore an Undercover top, 3.1 Phillip Lim pants and Schutz shoes. 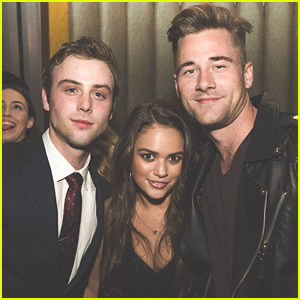 Madison Pettis and Luke Benward pose for a photo with birthday boy Sterling Beaumon while celebrating his birthday on Friday night (June 2) in West Hollywood, Calif. There were a bunch of stars at the event held at The Peppermint Club, including Sterling‘s girlfriend Niki Koss, who stars on Famous in Love. Sterling‘s longtime friend Ariel Winter was there with boyfriend Levi Meaden, who worked with Sterling on the fourth and final season of The Killing. “Happy birthday to one of my oldest and best friends @sterlingbeau! Thank you for always being an incredible friend, and sometimes pain in your SW’s asses. We love ya!” Ariel wrote on Instagram. Other celebs in attendance included The Fosters‘ Noah Centineo and Jessie‘s Chris Galya.